This report aimed to identify practical examples of good practice that promote good behaviour and that can be adopted by all schools. 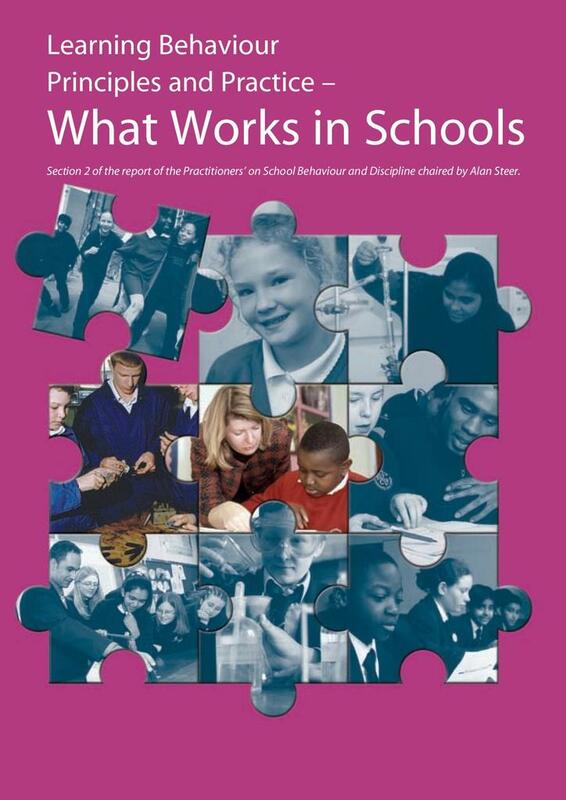 The authors identified aspects of practice that create the right conditions for good behaviour to be learnt. The authors further comment that whilst school staff work hard to support students in managing their behaviour and are successful. Some staff, however, do not find this easy: systems in school should ensure a minimum level of support to help.